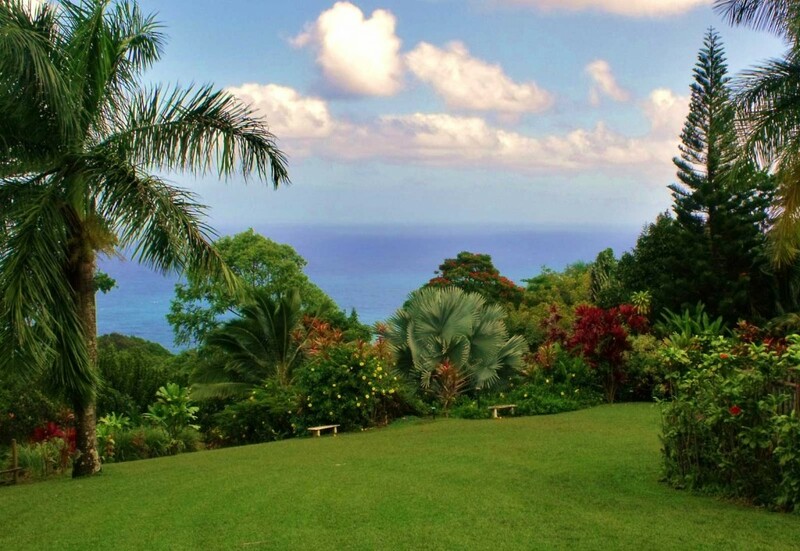 Green grass, palm trees swaying in the breeze, lush but manicured gardens, fragrant flowers, and blue ocean disappearing into the horizon accented by fluffy white clouds–not bad. Pictures like this one help transport us to serenity, taking the edge off our day and reminding us that there are some amazing places on this earth. Maui’s “Garden of Eden” Botanical Gardens and Arboretum was created back in 1996 by a certified arborist on 25 acres on the northern shores near the town of Haiku. Among all the pretty non-native exotic plants, the botanical garden is also known for one of the most extensive collections of Hawaiian Ti (sometimes called “Ki”) plants. The Ti plant was and is used in ceremonies, rituals, offerings, and cooking and is considered to be one of Polynesia’s most “cultural” plants. You can see more pictures on Garden of Eden’s own website here. This picture was submitted by a visitor to Hawaii Picture of the Day. Take a moment to send us some of yours! Hailing from Winnipeg, Canada, Rande is a guest contributor to Hawaii Picture of the Day.